Stop the world and melt with Sherri Hill 52795. 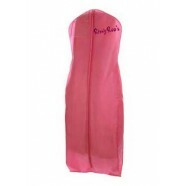 This classic satin gown has a high halter neckline, and full-coverage racerback straps. Satin glides over your curves in the fitted column skirt, which has a side slit to showcase your gorgeous legs, and a stunning train. The open lower back is featured above ruching at the back zipper closure. Make a glamorous entrance in this gown at a prom, pageant, or charity ball.